I am teacher Joe, currently residing in Europe. I hold an MA degree in English language and literature, and I have 5 years of teaching experience to students of all ages. I think love of learning a language is the most important part of any education, and I'll do whatever it takes to make sure my students not only fulfill their language wishes, but also enjoy themselves while doing it, whether preparing people for tests, helping students understand difficult schoolwork, or just practicing conversation skills. I'm really looking forward to meeting you and supporting your English language journey and adventure! 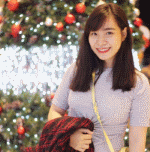 she is really wonderful, she is ready to listen my mind, understand me and teach me how to improve my English, I really like her athought she doesn't have a lot of lessons in E space. Tks Joe a lot! She is very exciting and funny as well, she is also one of the best teachers I've ever had. I love you. great teacher, thanks teacher a lot!